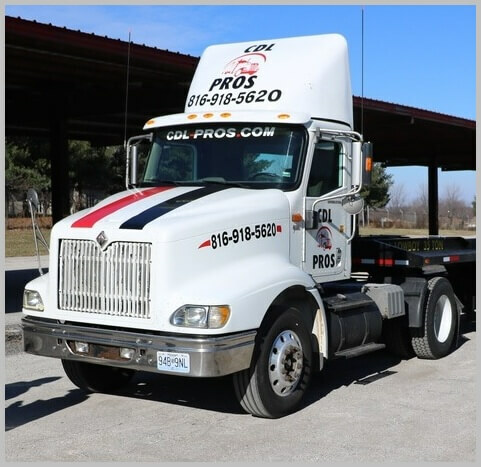 CDL Pros provides DOT physicals at our testing center in Kansas City and throughout the local area for commercial motor vehicle drivers who are required to take a DOT physical for employment or to renew a medical certificate. With our DOT physical Kansas City testing center conveniently located near Blue Springs and Lees Summit, we can schedule your Department of Transportation medical examination in KC today! A DOT physical examination is valid for up to 24 months, however the medical examiner may also issue a medical certificate for less than the standard 24 months, if certain health conditions require future monitoring. Upon passing a DOT physical the medical examiner will furnish 1 copy of the DOT physical results to the person who was examined and then complete the medical examiners certificate. The DOT physical Kansas City is an important part of the Department of Transportation’s requirements for employees designated as “safety sensitive” and while commercial motor vehicle drivers (FMCSA) are primarily the persons in need of a DOT physical, DOT physicals may be required for other types of DOT regulated positions. 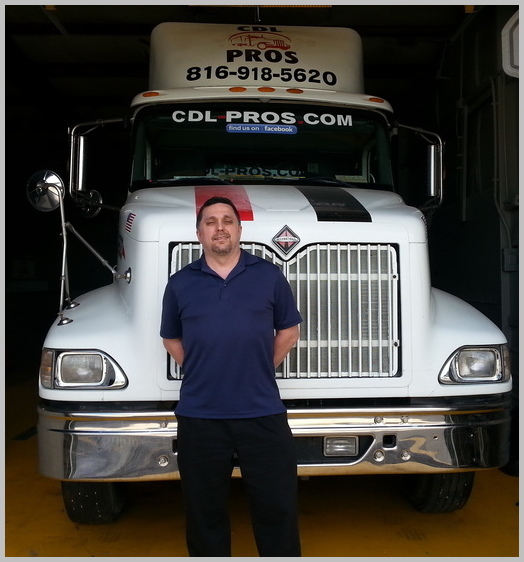 CDL Pros has provided Department of Transportation (DOT) physical examinations for many years. To comply with federal regulations in effect as of May 21, 2014, we have designated specific examiners to perform DOT physical exams. All Patient First designated examiners are now Federal Motor Carrier Safety Administration (FMCSA) certified, have received extra training on DOT policies and procedures, and are exceptionally well qualified to ensure that client employees meet the requirements of Federal DOT regulations. And for your convenience, our Kansas City FMCSA certified providers are available at our facility to examine drivers as needed. To schedule an appointment, call 816-918-5620. Dr. Campbell is passionate about changing the lives of his patients through chiropractic care and wellness. Dr. Campbell completed his Bachelor's Degree in Biology with Honors from Park University. He graduated from Cleveland Chiropractic College-Kansas City in 2013, appearing on the Dean's academic list each year. While serving on the Student American Chiropractic Association Board, he actively lobbied Congress for chiropractic care for our nation's veterans. Dr. Campbell has advanced certifications in Whiplash and Brain Injury Traumatology from the Spine Institute of San Diego. Dr. Campbell is also a certified medical examiner for the Department of Transportation for truck drivers applying for their CDL (commercial drivers’ license). Dr. Campbell is Nationally Board Certified in Acupuncture by the NBCE. Dr. Campbell is blessed with his adorable 4-year old daughter Madison and wonderful wife Rachel, who inspires him to be at his best for his patients each and every day. To schedule an appointment to meet with Dr. Campbell, call 816-287-3748. It is mandatory under Federal guidelines for individuals who drive commercial vehicles to have a Commercial Drivers License (CDL) and to pass a Department of Transportation health physical exam (DOT EXAM). This must be done by a certified medical examiner whose name appears in the Federal Registry. The Federal Motor Carriers Safety Administration (FMCSA) is the specific agency within the DOT that governs the physical qualifications for truck drivers, and the drug and alcohol testing process associated with the trucking industry. CDL Pros has a Kansas City physician who is one of the few Chiropractors, nationally, to be certified as a Medical Examiner under the DOT. Diabetic status whether on insulin or oral drugs. Latest Cardiovascular status with no fresh symptoms related to heart disease. No medical history of respiratory dysfunction. No established medical history on muscular or vascular diseases. No clinical diagnosis of epilepsy or related disorders. No mental or psychiatric disorder. Visual acuity within prescribed limits. Extent of hearing disability confirmed by audiometric and other tests. No current clinical diagnosis of alcoholism. No addiction to amphetamine, a narcotic, or other habit-forming drugs. DOT and non-DOT exams are: $65. Call 816-918-5620 to schedule an appointment today! Q: Can any doctor do my DOT physical? A: No, Only a FMCSA certified medical examiner may do the DOT physical. Q: What kind of things are on the physical? A: There are things like blood pressure, vision screening, hearing test, heart, lung, abdominal exam, musculoskeletal exam and urinalysis. Q: Do many people fail? A: Some do, but most pass. Make sure your blood pressure is under 140/90, and you can see with at least 20/40 vision in both eyes. These tend to be the most common reasons. Q: How long does the DOT Physical exam take? A: Your driver's license, a list of prescribed medications and the doctors that prescribed them and ....(a semi-full bladder) If you've had medical conditions, we may need some documentation from your treating physician. Q: Will I get my DOT medical card there? A: Yes, as soon as you meet the minimum dot medical card requirements. Q: What’s involved in a DOT physical? Can the driver safely meet the physical and mental demands of the job today, and for the period for which the medical card will be issued? Does the driver have any past or current medical conditions, which may impact the ability to meet the demands of the job now or in the future? The DOT physical is an extensive medical examination to determine if you are qualified to safely operate a commercial vehicle. The best way to understand the Department of Transportation Physical Examination is to relate the medical requirements to the demands of your job as a commercial driver. Q: Can I get a blood pressure or urine test before I get a DOT physical? A: Yes, just like any other citizen. You can get individual tests to check your health. Q: When I do my DOT physical do I have to get completely naked? A: No. There is no reason to get naked. Loose clothing will suffice for the examining physician to be able to complete all aspects of the DOT physical exam. Q: How long is the DOT physical exam valid? A: A DOT physical exam is actually valid for up to 24 months. Your particular medical examiner may need to issue a certificate for less than 2 years due to a medical condition such as high blood pressure that may require additional screening in a shorter period of time. Q: I went somewhere else for my last CDL physical in KC, but they aren't registered . Where can I go? A: Easy! 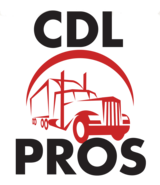 Come to CDL Pros. We welcome you. Q: Who pays for the DOT Physical Examination? Me, my employer, my insurance? A: There is no set answer here. Sometimes the driver pays.Some companies will pay for it, some will not. So check with your company because some will reimburse you.Some insurance companies treat this exam as preventative health care and will not reimburse for it. Sometimes the driver will pay, and may submit the receipt to their insurance for reimbursement, if the insurance will pay. Q: If I don’t have medical insurance can I still get a DOT physical? A: Yes. You do not need medical insurance to get a DOT Physical. Q: How much does a DOT physical exam in Kansas City cost without insurance? Q: What if I’m disqualified – may I request another DOT physical? A: This really depends on why you were disqualified. Doc shopping used to be what folks did, but that is changing with DOT and FMCSA. If all medical examiners are following the guidelines and regulations, then it would not matter where you go, you would still be disqualified if the same situation exists. If the disqualification seems unreasonable, and you feel you are truly fit enough to safely drive a CMV, then discuss the concerning condition with the medical examiner, and ask for options that may help you to be reconsidered for certification. Second opinion: A driver always has the option of getting a second opinion. If the qualification restrictions or disqualification seems unreasonable, and you feel you are truly fit enough to safely drive a CMV, you are more than welcome find another to get a second opinion. The new examination decision supersedes the previous examination. For further questions, feel free to give us a call at: 816-918-5620.